Man Man Japanese Unagi Restaurant is owned by renowned Chef Teppei Yamashita. 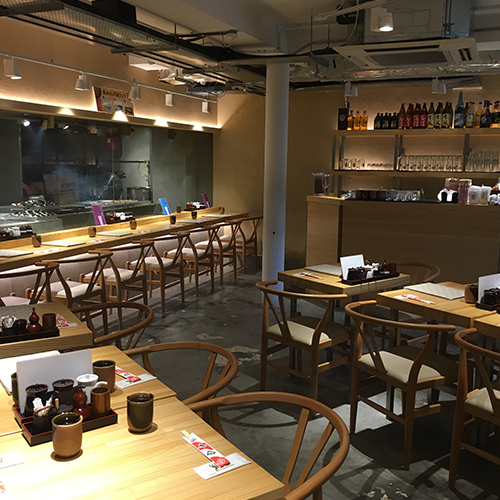 Chef Teppei Yamashita is expanding his chain of popular restaurants to include Man Man – a Unagi specialty restaurant located right in the heart of Chinatown at Keong Saik Road. Unagi is the Japanese word for freshwater eel, which is normally grilled over a charcoal fire and dipped in a tare BBQ sauce multiple times for the marinade to evenly coat the flesh. The eels they serve come from Mikawa Isshiki region. They cook the eels and turn them into delicious dishes such as Una Tama Don, Hitsumabushi and Tamagoyaki.